My whirlwind trip to India now feels like a distant dream. Where did a whole month go? 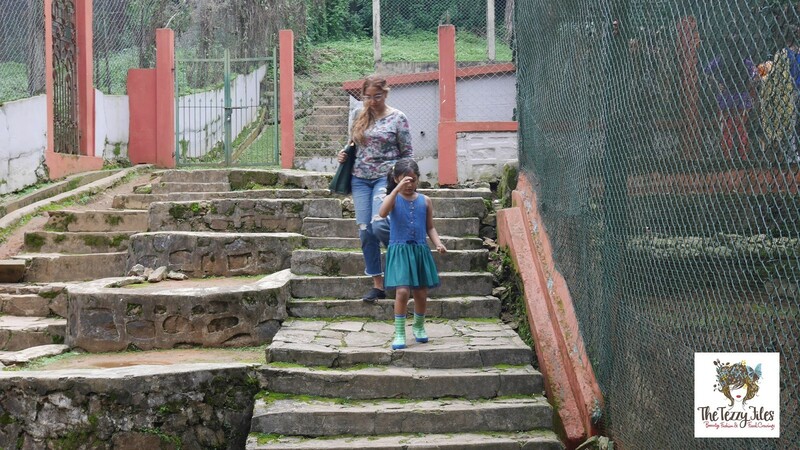 We spent the major chunk of our holiday in the beautifully picturesque town of Shillong. 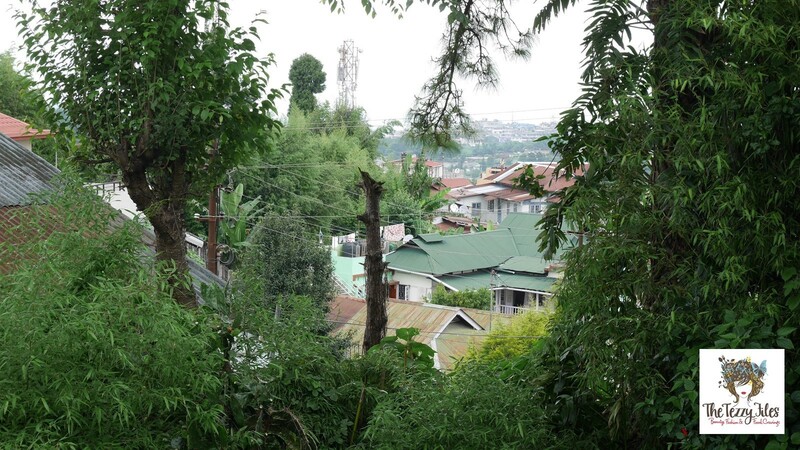 My Hubby calls Shillong home, and spent his entire childhood here. Every nook of the city seems to hold a fond memory for him, and despite being away for countless years, he proves to be an expert tour guide, leading me through miles of endlessly narrow streets and cobbled stairs. Shillong is the capital city of Meghalaya, a North Eastern state of India. ‘Meghalaya’ is Sanskrit for ‘abode of the clouds’. Perpetually blanketed in a permanent haze of mist, the region has a serenely dreamy feel to it and many a famous writer have been inspired by the beauty of the region’s endlessly green, hilly topography. An endless sea of tin roofs curtained by the greenery of ancient trees. 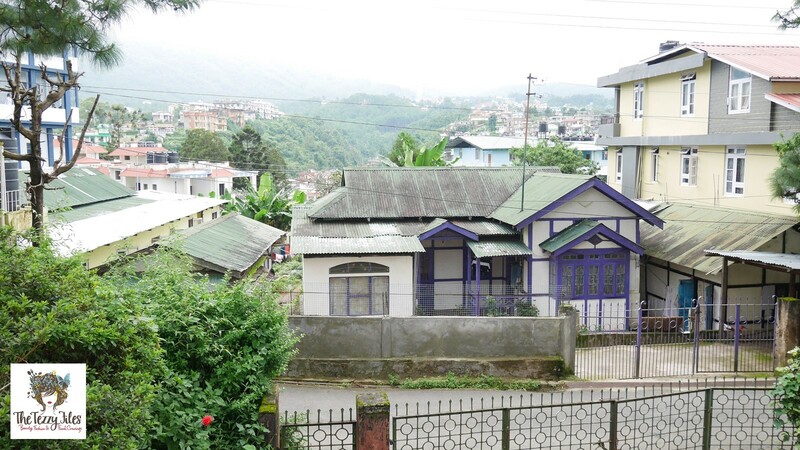 Although newer, fancier homes are being built in Shillong, most of the houses here have seen a whole lineage of generations come and go. 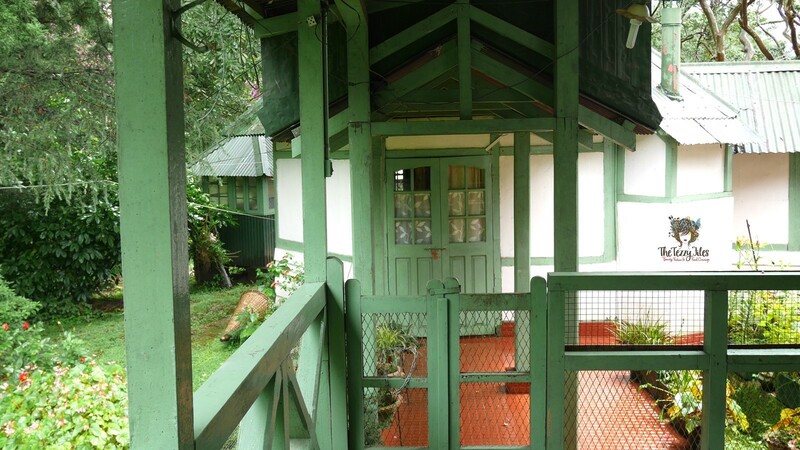 The wooden-framed Assam-style houses have a beautifully quaint, old-age cottage charm. 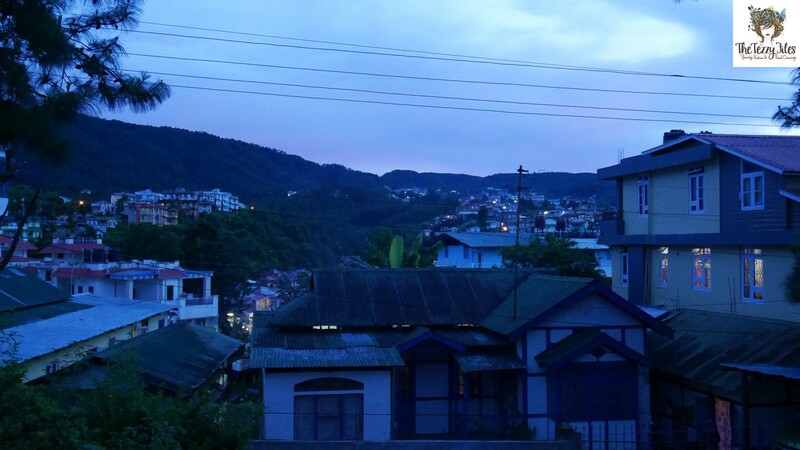 When early European settlers moved to Shillong, they likened the picturesque scenery to Scotland, and till today this city is referred to as ‘The Scotland of the East’. While the rest of India is sweltering in the heat, Shillong summers never go beyond 25 degrees. July is monsoon season, and we indulged in many laid-back siestas admiring the rains from indoors. 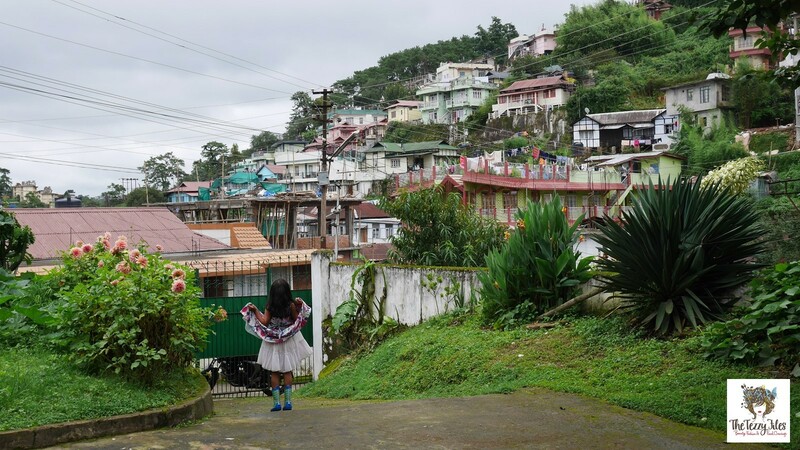 The population of Shillong is predominated by local Khasis who have their own set of unique cultures and norms, and speak the Khasi language. The Khasis have a profound love for music, and were listening to mainstream Western tunes including heavy metal well before the rest of India caught up with the hype. Shillong was therefore known as ‘The Rock Capital of India’ but this title is now under debate. An interesting article on this title was published in the Meghalaya Times, click here for more in-depth details. From the local Shillong music scene, Lou Majaw is the region’s best known guitarist and singer. Renowned for his soulful renderings of Bob Dylan tunes, Lou has done quite a few world tours and has an ever-growing fan base. 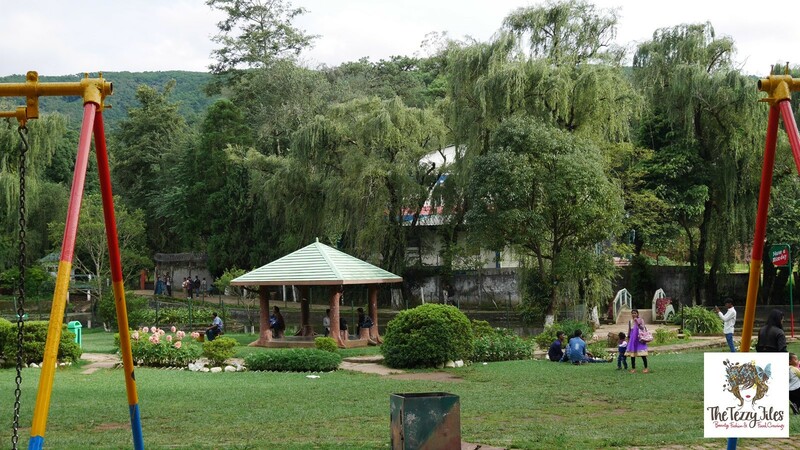 Many of Shillong’s residents have also migrated here from the nearby regions of Assam, Nagaland, the Garo Hills. 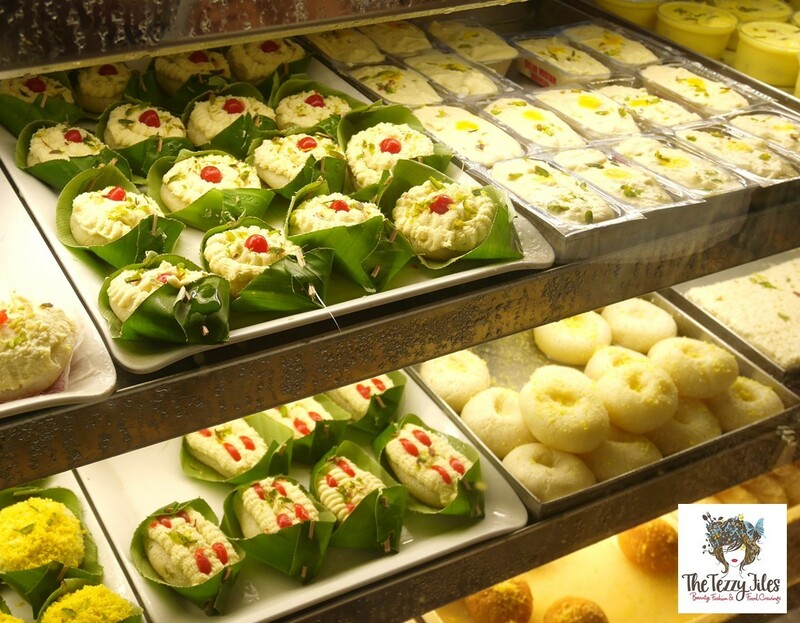 Shillong also has a large Bengali-speaking community, and I got to indulge in some really good mishti! 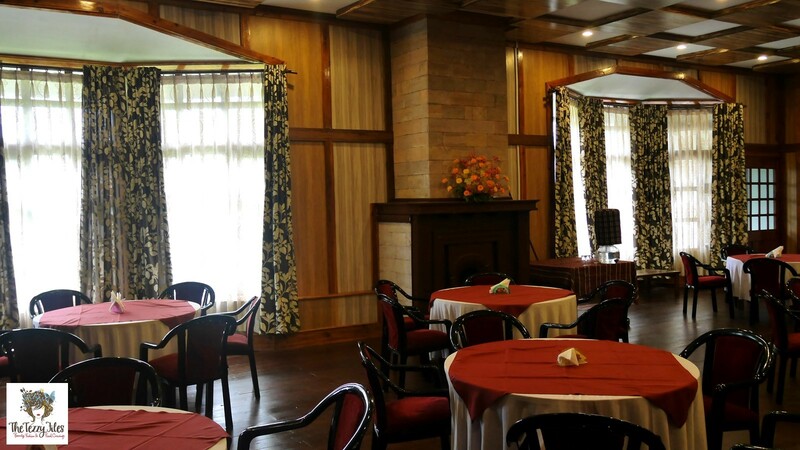 One of Shillong’s oldest landmarks is Pinewood Hotel. 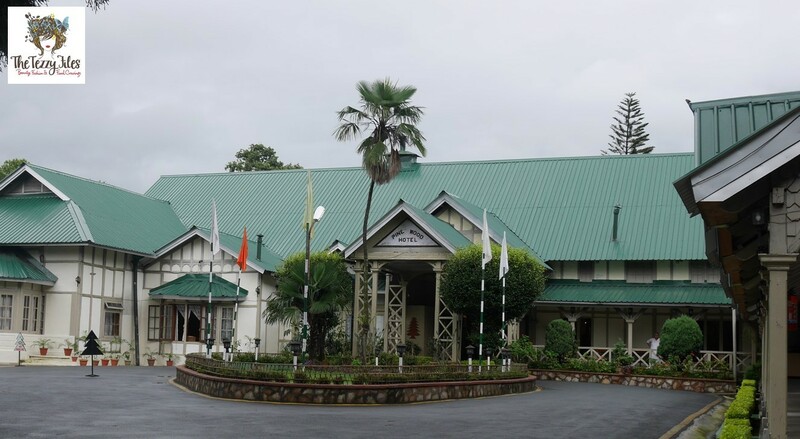 Spanning across 8 acres of lush greenery, this hauntingly beautiful establishment was created sometime in the late 1800’s and its original wooden structure has been beautifully preserved till date. Pinewood has now opened up a very modern-day, all-glass conference center on its grounds but guests still prefer residing within the old charms of the original structure. I got married in the banquet hall of Pinewood Hotel. According to urban myth, this hall is haunted by a beautiful young lady who dances here at midnight every New Year’s Eve. Shillong has quite a few interesting ghost stories! Another haunted area is said to be the entrance gates of the city’s most popular all-girls’ school, Pine Mount. Pine Mount was founded in 1900 during the British rule, and the school’s first principal was a Miss Miles. Till today, onlookers have sworn to have seen her walking by the school gates late into the night. 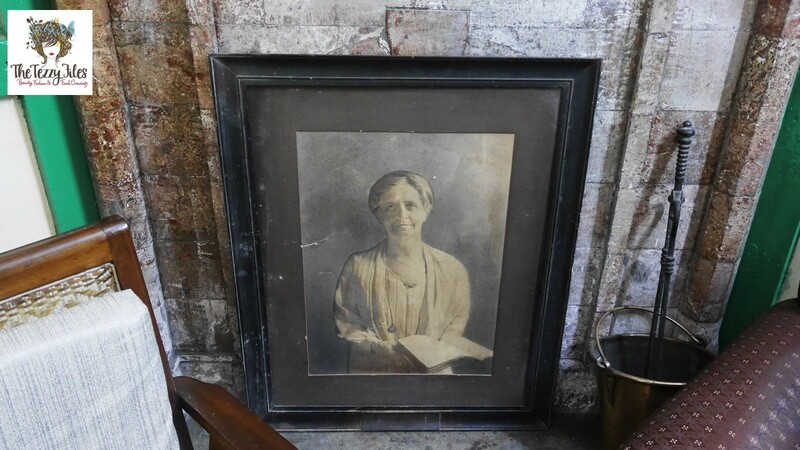 A withered photo of Miss Miles, preserved by the fireplace in the original principal’s quarters of Pine Mount School, Shillong. A few steps down from the school gates lies the beautifully manicured lawns of Lady Hydari Park. The park has a play area for little ones, as well as a mini zoo. 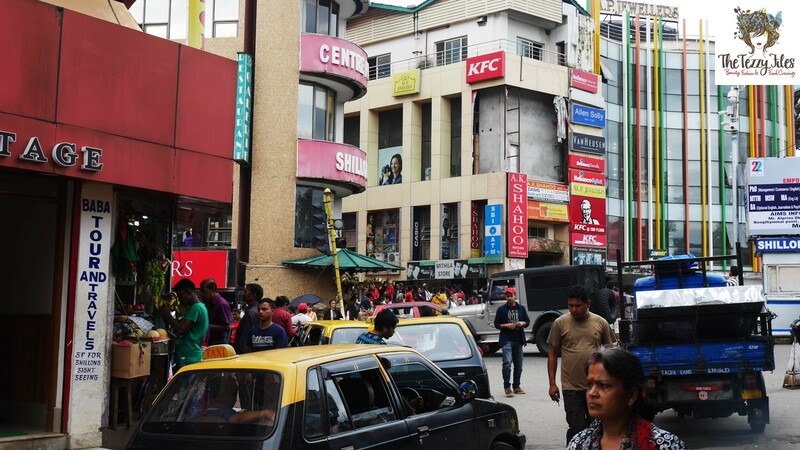 Walking a few minutes out of the park, you can find yourself in the maddening rush of Police Bazar, the central hub of Shillong city. Parking is a nightmare here, and its best to use the local taxis or get here on a two-wheeler. 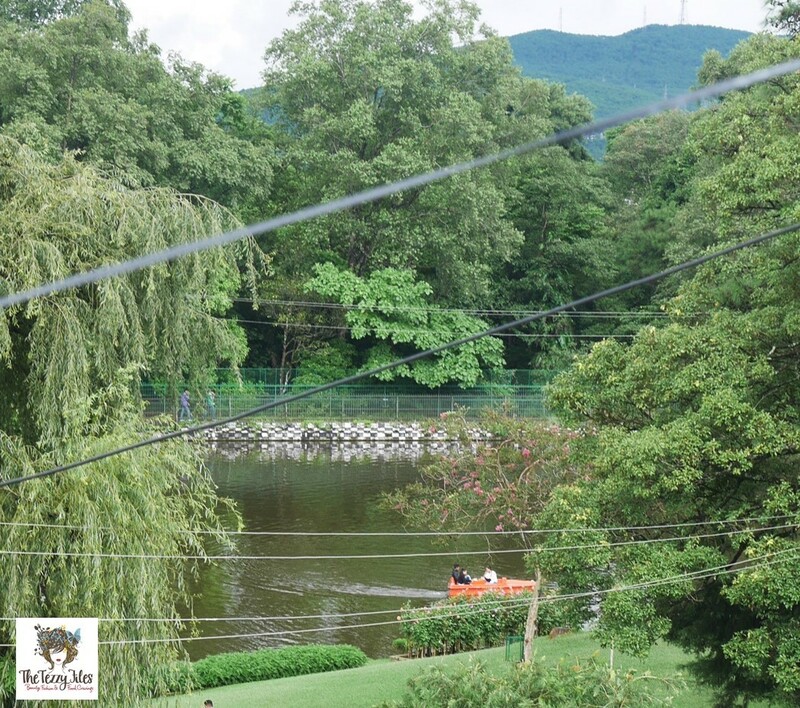 Take a break from the humdrum of daily life, and head out for a boat ride on Ward’s Lake. By nightfall, the city resumes its dreamy, sleepy serenity. The streetlights are dim halos, the store shutters close by 9, and the serpentine streets weave out into the darkness. Posted in Holidays, Places and tagged dubai blog, Ghost Stories, india, Khasi, Meghalaya, North East India, Panasonic Lumix, Photography, Pine Mount Shillong, Pinewood Shillong, Rock Capital of India, Scotland of the East, Shillong, travel, travel blog, Urban Legends. Bookmark the permalink.